Kids having temper tantrums can be hard to manage. Like really hard. They are full of so many emotions and become totally illogical. They can’t tell us why they are upset, and they get upset over the smallest things. Often times we get frustrated trying to deal with these out of control, yelling children. Then if we are out in public, we can get even more emotional because of the watching eyes of strangers. No matter how well behaved a child is, every child is going to have tantrums now and again. 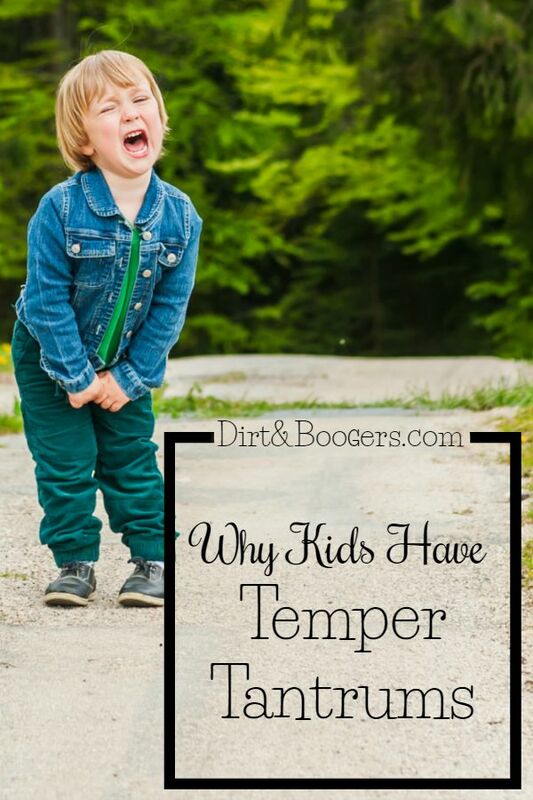 But once we understand why kids have temper tantrums we can more effectively help our kids through them. Kids have temper tantrums because the parts of their brain that allows them to think logically isn’t developed yet. Brains aren’t fully developed until our mid-twenties, and the last part that develops is the frontal lobe, which is the abstract thinking part. It’s the part that helps us think before we act and it’s where we problem solve. Teenagers and young adults make such impulsive, and dare I say, stupid decisions because this part of the brain just isn’t fully developed yet. They don’t think before they act. It’s also why young children are even more impulsive and emotional than teenagers. Their brains just aren’t as developed as adult brains. When something happens that upsets them, even when it’s something small, their limbic system activates. The limbic system controls our emotions and memories. There is no thinking or problem solving in the limbic system, it is pure emotions and impulses. When a child is having a temper tantrum, their limbic systems is fully activated and their frontal lobe isn’t developed enough to help them think clearly about what upset them. So now that we know what’s going on in their brain. How do we stop the tantrum? 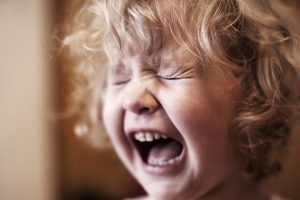 I’ve listed a few ways to handle temper tantrums with kids. Remember that every child is different and some techniques will work better for some kids than others. 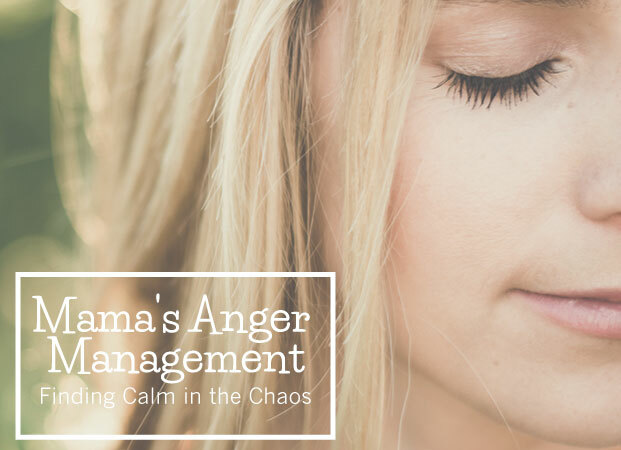 One of the quickest, most effective ways to stop a temper tantrum, and connect with your child, is to meet them in their limbic system. Connect with the emotions first and then talk about the problem. When a person’s brain is flooded with emotions, we can’t speak logically to them and expect logical answers. Did this stop the tantrum? Probably not. When we make these statements, we are talking to the logical part of our kids brains. The problem is that our kids are not functioning in the logical part of their brain during a temper tantrum. They can’t answer our questions because they are too emotionally flooded to think logically. The best, and easiest way to stop the tantrum, is to connect with their emotional brain, because that is where their brain is currently functioning and engaged. To do this, take a look at the situation and at your child. Figure out HOW they are feeling and reflect that back to them. Statements like these let your child know that you are paying attention and that you see that they are upset. You’re talking to them in a way that they can hear you. Often times, the child will respond to these statements as “yes, that did hurt my feelings” or “Yes, I’m mad!”. And BOOM! You have their attention! You might have to make several of these statements before they hear you, but eventually it will work. Giving a hug or touch might also help show them that you are paying attention. Note: Some children (like adults) do not like to be touched when they are upset. Once you get their attention and connect with them, you can then start asking questions and dealing with the problem at hand. When my son is throwing a fit and is inconsolable, I sit quietly with him and just wait it out. He’s a hugger and likes physical touch, so I sit with him in my arms and wait for him to calm down. I usually talk to him about the way he’s feeling and let him know that I’m there whenever he’s ready to talk. Sometimes I’ll send him to his room to calm down. I usually do this when I’m frustrated and mad and need some distance myself. When I can’t approach him in a loving way, then I either need to remove myself or remove him. I do both, depending on the situation. 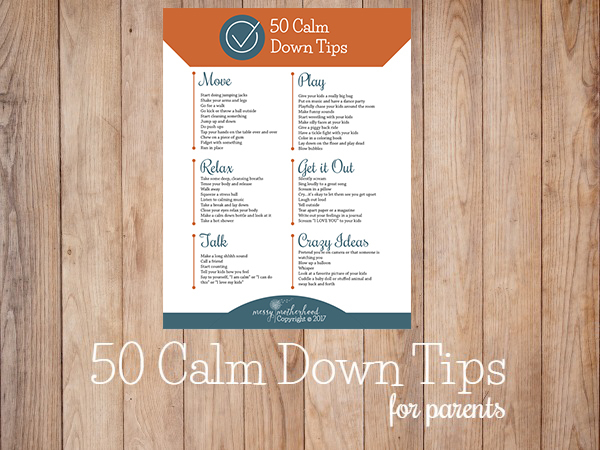 The calmer you are, the calmer your child will be. Get down on their level (face to face) so you can connect with them and be less intimidating. Keep it in perspective. You child is having a hard time, not giving you a hard time. This is so helpful! I have a preschooler who never was a big tantrum kid and a toddler who is starting to have small outburst type tantrums. Thank you for sharing why this happens and some ways to help! That was great. Hope will help me next time. But by what age it will stop? It totally depends on the kid honestly. Some kids are more emotional and fall apart frequently. They will probably take a bit longer to grow out of it. 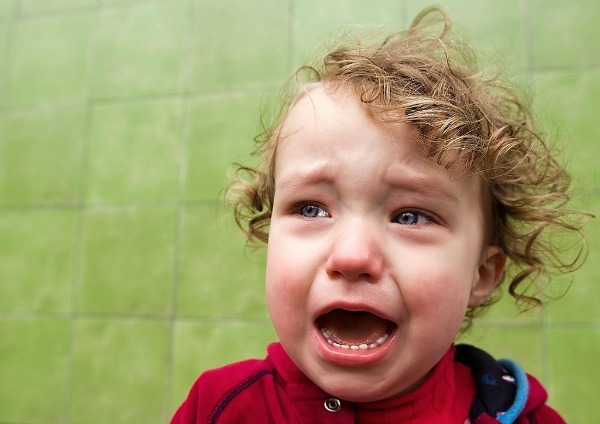 Temper tantrums are more likely for kids who are 1-4 and then decreases after 4. But, anyone can have a temper tantrum…even adults. LOL. I’m a grandma stepping in here. Ever watch a talk show on television and see adults have a temper tantrum? While this article is big on the brain story to legitimize theory and very ageist, respecting people’s emotions is applicable for all ages but our system is imbalanced with handing out respect for all humans. The undeveloped brain idea has more to do with exposure to teachings and more complex in application than this article implies. A child LEARNS to follow orders and is obedient over time. How obedient you want your child (denying self) versus how mentally healthy in freedom of their own wishes and expressions is a see sawing choice. But children become somewhat intellectually capable of controlling their bodies in relationship to adult’s ordering by about age 7. Before that, they lack abilities. Between 2 – 7, consider them gaining abilities but not perfection, they are just learning language and to control and operate their bodies and are, so filled with the joy of living, and so in the moment and no adult responsibilities (something we adults LOSE all of) that they haven’t learned how to be little soldiers to march in the lines of our society. And they forget quickly the adult orders because life is so wonderful to enjoy and feel. By age 7, they have some self control, but as you may very well witness, this issue is one that many emotionally undeveloped adults have too. It may be of interest to note that just a few generations ago, children were to be seen and not heard. The only person free to have an emotional tantrum and appear rational at the same time was father. Mothers were perceived as emotional and childlike and had to succumb to the authority of man. Children as well. Emotional disobedience was severely punished. Society has changed because of the popularity of psychology that cares about mental health and freedom of expression rather than just strict obedience and punishments by father as ruler in the home. Likely that all adults today had their own upbringing with some mixture. Balance. I wish I had read this last night. My 8 y.o. son had a full on category 5 meltdown tantrum this morning before school. This is pretty uncharacteristic of him, but there was no talking or breaking through to him while he was so angry at my decision. Hopefully your recommendations will help when we talk through the situation after school when he should be in a calmer frame of mind. Oh I’m sorry to hear that. I hope that these tips help. Thanks for this. Although hindsight is 20/20, I get really upset with MYSELF when I allow my 3 year old’s tantrums to get the best of me. I lose my cool and turn into a mom that I most definitely don’t want to be. I suppose tough love isn’t always the answer. But it seems like some of your tips include distraction, no? Can you comment on that. It’s not really about distraction, it’s about bringing them back to the present and helping them focus on more than just the emotions. It’s ok to feel what they are feeling and we still talk about the emotions. Noticing surroundings and their senses helps bring them out of the limbic system and back to a calmer place. It’s a calming technique used a lot in counseling. My children were young, (4 daughters). Now, my grandson is 23 months- loving the time with him as a Grama- when I get to see him…he has just begun this stage. I found your article to have the best information, and tried and true solutions. As in adult communication, pointing out first that someone is being heard. Thank you! My son had one temper tantrum–decades ago at the age of 2. He threw himself down in the snow outside a grocery store. Keeping a close watch on him and with no one in sight, I left him to thrash it out alone. After a full minute of doing this to no avail, he picked himself up, dusted off his snowsuit, and jumped into my waiting arms. He never threw another tantrum. Neither did his sister, for she had heard the story. Both are well-adjusted adults. I’m a grandmother now. In my opinion, I think we tend to coddle bad behavior and inadvertently reinforce it by doing so. If you can walk away from the first tantrum (or early ones) without endangering your child–I urge you to do so. It takes guts, but your child will not be harmed by it. Chances are, he’ll never throw another one. There are some kids who throw tantrums for attention, others who throw tantrums because of emotional explosion, and still others who may throw a tantrum or two in their life and then be all done with tantrums. It sounds like your son may have been throwing a tantrum for attention or to get something that he wanted, and since you didn’t do anything about it, he learned not to do it again. It sounds like you did exactly what your son needed and he learned a valuable lesson. But if your son was 2 before he ever showed any behavior that resembled a tantrum, then you had some pretty well-behaved kids! Tantrums (screaming, scratching or hurting someone else, arching back and falling to the floor) can happen as early as 10 months sometimes, if not earlier! Ignoring these types of tantrums may not always be an option, and in some cases, it can be harmful both for the kid and the others surrounding him, so I appreciate that you mentioned that you wanted to keep your son safe during his tantrum and that you were able to. As a children’s counselor myself, I have to agree with Amanda here that educating on the emotions and understanding their feelings is a VERY important part of the process. 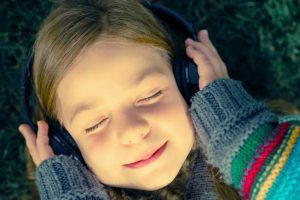 Ignoring a behavior may stop the behavior from happening again if it was due to a need for attention, but ultimately kids need to be able to understand their own emotions in order to be successful in life. Ignoring them won’t teach that, even if it stops the behavior. Any advice on how to handle a 14 mth old’s tantrums? I feel he is too young to use some of these techniques (deep breathing, acknowledging his feelings, etc.) but I need something effective. His temper tantrums are throwing himself on the ground & lots of crying. Do I just ignore him? I’m wondering if letting an 8/ 9 year old know we can talk when he’s blown up a balloon or after he’s gone for a walk is a good idea? I’m thinking about my little hot-head who just turned 9. My guess is he’d bite & rip the balloon to shreds initially. But, once he came around, it would get him to breathe, focus on something else & show that he’s ready to comply. A walk could be a time-out, breathing, exercise/blood flowing, and focusing on something else too…or a bike bashing accident prone hot mess! Yes! Those are all great ideas. Doing something physical, especially walking/running with the back and forth motion of the feet can be very calming for anyone. A balloon is also a good way to help control breathing. I love the posts and topics Amanda; they are helpful. My daughter will be 3 in a month and her tantrums seem to have gotten worse. Last summer they started but I attributed it to molars and would try to stay calm and keep her calm. It did and didn’t help. We had our second child 5 months ago and of course in the beginning it was rough but now she loves her sister. Recently she has started crying, screaming, pulling her hair out, and physically trying to hurt me or whoever is near by scratching or hitting. I try to remain calm but sooner or later I break and either leave her with whoever is in the room or I end up having to pop her because she is being so ugly. I feel like a bad mother because maybe it’s something I’ve done or it is just her. I just don’t know what to do. She’ll want to do something and we start then a fit with the mentioned emotions start out of nowhere. I’m not sure if I need to talk to her pediatrician or someone with a speciality in childhood psychology. Is this just the terrible 2 and 3’s or something more? I would try laying down next to her and just taking her outbursts no matter what they entailed. Or, I would pick up a doll or toy, and just start playing with it showing I was enjoying myself. Otherwise, leave her in a room by herself (no audience- – even pets), until she calms down. I take care of 6 children, two of them crawlers, and 4 of them toddlers. You can imagine that this group will have a tantrum or two any given day, because someone usually wants a toy that someone else has, and when they take it, the other child cries. Well, I can’t have this crying going on for long, bc my husband has his engineering business at home, and when on the phone doesn’t want his clients to hear screaming and crying in the background.. So I have just a few hard and fast rules (4 I think) and obeying these makes for a happy household all day long. Once the parents arrive -= boy, you should see -and hear- the tantrums start! They get away with this type behavior at home, needing the undivided attention of either parent that I give them all day long I guess. They just don’t want to leave, and push their parents away, or close the door on them, or even hit them! My own kids never showed this disrespect, but I was a stay at home mom, helping my husband in any way I could while they were napping, or playing safely nearby in an adjoining room that had all the toys and a tv. So, what I do now, is get the children ready to go, and walk them outside and while talking to the parents about how their child’s day went, how they ate, etc., I put the child into the carseat and give them a small sucker to enjoy on the way home. I tell the parents to engage them in conversation for at least for 5 minutes, asking them questions about who they played with, what was funny, did they like their lunch, who got spanked (I use the switch very lightly, after the child is 2 yrs old and begins talking and understanding my 4 rules, as it’s OK in the state of Ohio). This way, the child IS GETTING THE ATTENTION THEY DESERVE, for as long as they’re willing to talk about their day. The parent also asks them which DVD they watched during lunchtime, and what they liked about it; and if they went outside to play, and if anyone fell down and got a boo boo, etc. Anything to get them to express themselves and their feeling as long as they want to. I believe children usually go into tantrum due to not getting what they want, either attention, or a physical thing like a toy or treat, or they are overtired, or even have a soiled diaper that is irritating them. So I begin by giving them time to cool down by sitting next to them and smiling and talking softly “I bet you’re mad right now, I would be mad too”. I get the rag doll, and hit the floor with it, repeating “I mad”. Then hand them the doll, which they may use or throw if that’s not the case. Then I check my watch to see if it’s past lunchtime, in which case their blood sugar is low, and that’s a tantrum starter in itself, because their hunger pangs come on fast and hard. So next, I ask them “do you want to eat lunch?” If they continue crying, then that’s not the case. So next I check their diaper to see if there’s a problem there. If it’s not the problem, then I know it’s a case of being tired, and they’re resisting laying down, bc they see their playmates still playing heartily. Oftentimes, the child has woken up extra early at home, and they’re tired an hour or two before their normal nap time (after lunch). But they don’t want to take a nap right then, even though tired, bc they would miss out on lunch or more play. So right away, if that is the case, I take out a few m and ms, and put them in a little dish and start enjoying them, offering them one of each color. Boy, that does the trick! They come to their senses and start eating them (no more than six) which raises their blood sugar, and 2 oz of juice, and I feed them first before the others. I follow this routine and notice that the other kids are watching us, and understanding that this is what we usually do when anyone flies off the handle. This reduces tantrums a lot, especially the going home ones. I really don’t spoil them, just try to get everyone ‘going along to get along’, and giving in when necessary. Like when they’re overtired, hungry, or in pain when teething, or if someone has taken their toy away. (Rule #1, don’t ever take a toy away from someone else (about 18 months old they understand this rule). The other rule #2, is Don’t hit or push anyone down. They all get one or two warnings, then I get the switch and trying it on my own thigh first, I will give them a light swat on the thigh (thru diaper you would have to hit too hard to get the message across). I do this CONSISTENTLY every time, and so they mostly wait until the other child puts the toy down and goes to another object. And my rule #3, is to come when I call them. If they don’t come by the 3rd time, I go and get their ear and gently pull them to the table. They hate this, because if they resist it does hurt, so they easily come along, after about the second time I use this method. Other children watching learn to come when I call most every time, which could potentially save their life some day. I have two rooms full of toys and musical things, like electric keyboard, older computer to learn things on “ABC.com”, (a subscription service for 2 + yrs old children), and battery operated toys that are musical, or talk, or walk, or beep, or run, blocks and puzzles, plush toys and soft rubber balls, and when no babies around, I blow up lots of balloons which they throw up in the air and try to catch, or I bring out all the “kitchen stuff” (a collection of plastic dish sets, plastic fake food and utensils, and a big tablecloth I lay it all on and then pick it all up with until next time). I make sure there are duplicates of things so there is less fighting for the same toy. For outside I have 3 play lawnmowers, two wheel barrows, two grocery shopping carts, 3 slides, two water tables, two tables with chairs, two different teeter toters, etc., and they also get to feed the ducks and chickens and one old mare. I love my six “children”, but am glad they get to go home at the end of the long day (7am until 6pm). I offer free sleepovers for when parents need to go to an evening wedding or out of town. During the day I charge $5/hr. I used to be a High School Spanish and French teacher, and had two daughters of my own, who grew up! No grandchildren yet, and I’m 68 yrs old! But having taught or taken care of over 1,000 children and no mishaps or real misbehavior until now, my methods work pretty well. It helps a lot when they children see how I deal out rewards and punishments evenly and consistently and fairly, according to the age of the children. Small children are very justice oriented, and it gives them a sense of security to see that they’re all treated to the same when it comes to my rules, according to their age of course, which they can discern. If those methods don’t work to settle them down, I ask them if they want to help me throw clothes into the washing machine (a big thing for them) or if they want to help me make lunch (most bring their own, but I always have organic fruits and snacks as appetizers, which they can help put on the big plastic fruit platter). God bless you all, and God help Pres elect DJTrump, who it seems, did a good job with his kids, according to Ms Clinton. Have a wonderful 2016 Christmas and don’t forget: Jesus is the reason for the season! PS Most parents do not use the switch when their kids misbehave, and it shows, bc the kids don’t obey them most of the time even when they turn 3 yrs. old. I tell them that I was recommended to read a book called “Training a child the bible way” or something like that, and it worked wonders, and saved my sanity. I only got compliments on my kids all the way through HS, and they got full scholarships to Kent State U. I loaned it out to someone, and it never got returned, so I can’t fully remember the name or the author. But it’s for sale at Amazon.com. It explains in detail the biblical way of training children, using a light switch when real misbehavior occurs. When the child is trained this way, no more tantrums happen, and that is a plus, besides having them obey you all day long! Just multiply your child by six (as if you’d had sextuplets to deal with and bring up), and you’ll see my point of view! I really agree with your methods, most won’t because well we know people dont really want to follow the Scripts anymore. I have 3 kids under 7 and I have anxiety so its hard to be consistent…. I would love some of your direction. I live in ohio, too. This is so informational. However, I can’t find much to help me with my son. He is 15 months old, and rarely has tantrums during the day. They have been more frequent when he wakes up at night. If I dont immediately give him a bottle (I know, shouldn’t do that either) he freaks out and screams. He hits and throws things now, too. He doesn’t talk yet, but obviously understands some of what I say, so I can’t really talk on his level to calm him down. Normally if I turn a lamp on he’ll calm down somewhat, but reading and milk is what normally calms him completely enough to go back to sleep. Is this a tantrum problem, or a sleep problem? I assume a little of both. Note: he had started sleeping through the night and then got sick, so he wasn’t eating and was waking at night out of hunger. I indulged him then, knowing that he felt bad, and since then it’s like he’s gotten back into the habit. Please help! I’m 25 weeks pregnant and have a hard enough time sleeping without a screaming child. My daughter is in her so called “terrible-two” stage where tantrums sometimes attack you like rapid gunfire. I agree with your tips and so far, it is effective on my daughter. What I do is I wait it out and speak calmly and make sure that I am in direct eye-to-eye contact with her. Waiting it out can be stressful with all the screaming, air punching and rolling around from your child but it WILL eventually die down as your child tires. It’s just a breath of fresh air knowing that every parent will experience tantrums like a “rite of passage” on being a parent. I been working in after school for 10 years. I have a lot of challenging kids that don’t get attention at home, and often tell me what is going on. This is a program of 80 students M-F. Melt downs are a norm in this world. 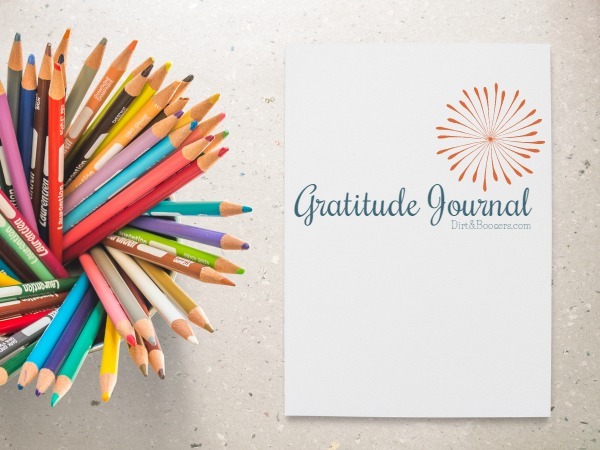 This article is about what I do daily in my job, so I couldn’t help to chuckle when this was about a child, when I have a whole program of students from grades k-5. These skills work, but are effective when humor is used (This is all about timing). I do not expect any one to understand, but when you work with kids for years, you developed a strategy after a while. Kids just need to be heard, and acknowledged. This is common sense. Two, they like for adults to listen to them (even if us adults know it’s silly). LOL, I need to go now, my daughter is curious to what I’m typing. She keeps touching the cord to this iPad asking, “What is this?” And that’s what it means to be a dad…. to stop what your doing and talk to your kid(s). I think I was lucky with my son. He never through temper tantrums. He knew just with the look I gave him. I have no patience for kids that do this. It makes me angry. Glad I was blessed with only one child.